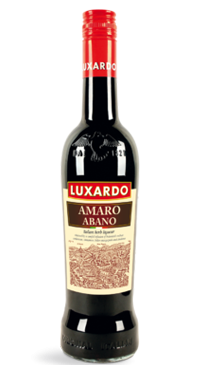 Amaro Abano is a medium-bitter digestive obtained from the infusion of herbs such as condurango, cardamom, cinnamon, bitter orange peels, cinchona. It comes in at 30% alc vol. It is dark brown/black in the glass. The nose is laced with herbaceous-botanical scents of orange peel,cardamom and baking spices such as cinnamon and nutmeg. Later sniffs encounter more narrowly focused herbal-earthy traces, especially roots and tubers.The palate is moderately bitter tasting of orange peel and cardamom.